Buying gifts for babies and young kids isn’t easy. Whether the gift is for a friend, family member or your own children, PlanWood toys makes it simple to choose a wonderful, fun gift that you can feel good about giving. You can get everything from a dancing alligator, adorable doll house, play food, sorting and stacking toys, and so much more. 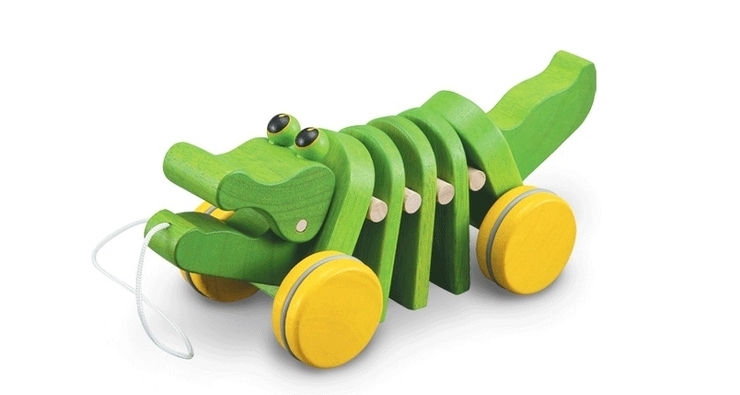 PlanToys® are made from non-toxic, natural materials such as organic rubberwood. Their toys enable children to play, learn and become closer to nature. 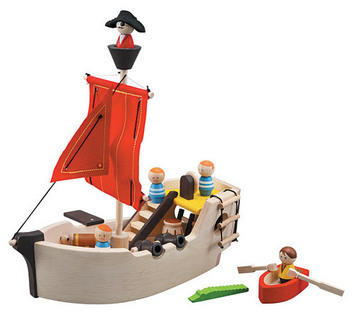 PlanWood is made from the 2 tons of sawdust that the toy factory produces daily, truly using every part of the rubberwood tree. Less than 1% of formaldehyde-free E-zero glue is used and it isn’t treated with any other heavy chemicals. Another plus of PlanWood is that organic colorant can be added during the composite process, which is more eco-friendly than the water-based paints and finishes PlanToys uses on its rubberwood toys. Parents will also love that the new PlanWood toys can safely go in the dishwasher. So if you have a little one who loves putting everything in her mouth, you’ll be able to easily keep her toys clean, that is a huge plus. 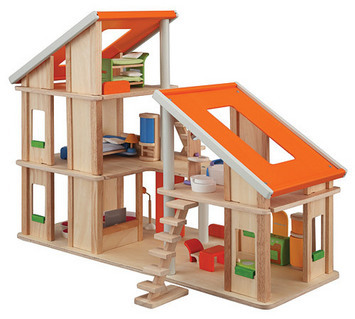 I was lucky enough to receive a Doll House from PlanToys. My husband is the handy man in our family, but he was traveling for business this week so I was left on my own to assemble it. It was a little tricky (for me) but I did it! The house does not come with any furniture or dolls so my kids used what we already have around the house (Polly Pockets felt right at home as did my son’s batman and transformers) Even though my kids are a little on the older side (the house is ideal for ages 3-6), they did play with it for hours! I think this would make a great present, just remember to buy some dolls and furniture to go with it. It’s so hard to know (and scary to think about) what goes into making the toys our kids play with. Babies and toddlers put everything in their mouth, so it is reassuring to know there is nothing harmful or dangerous in PlanToys. Take a look at the website for all the great toys you can enjoy buying and feel really good about giving! Happy Shopping.